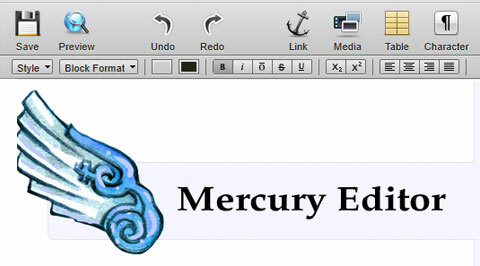 Mercury is a nice and full features HTML5 WYSIWYG HTML5 editor. Rather than being positioned inside a given element, it appears over the complete web page and can be used to edit the whole page or any number specified areas. Preview content while you’re working to see exactly how it’ll look. Insert and edit links, including TOC/Bookmark links. Insert and edit images, youtube videos, and vimeo videos. Drag images from your desktop to automatically uploaded and insert them. Advanced table editing and creation. Insert and edit predefined and reusable bits of markup/code using drag and drop. We provide Markdown, HTML, and Snippet region types by default. Built in low profile translation and internationalization system.